written by E. Bruce Glenn, photography by Hal Conroy. Based on the original, with photography by Michael Pitcairn, this second edtion updates & deepens the original. The brillant new photos and updated and referenced text inspire all who read it. 207 pgs, 9.5 x 12", hardback, 3 lbs., 2011. 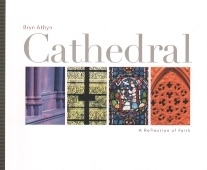 Pictures and words designed to highlight the Bryn Athyn Cathedral. A history of its building and pictures with quotes from Swedenborg give a sense of the rich tapestry of its Gothic/Romanesque origins. The Bryn Athyn Historic District, a National Historic Landmark, is home to some of the most remarkable architecture in the Philadelphia area. 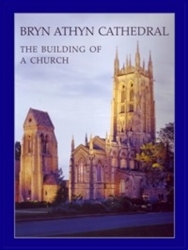 This book uses archival photos to present the stories of Cairnwood, the Bryn Athyn Cathedral, the Bryn Athyn Glass Studio and factory, Cairncrest, Glencairn, and the formation of the Historic District. The purpose of the rite of confirmation or "Confession of Faith" in the new Church is that young adults may publicly declare their religious faith...It serves as an ultimate act which introduces to spiritual maturity.